Click to see all of our services! 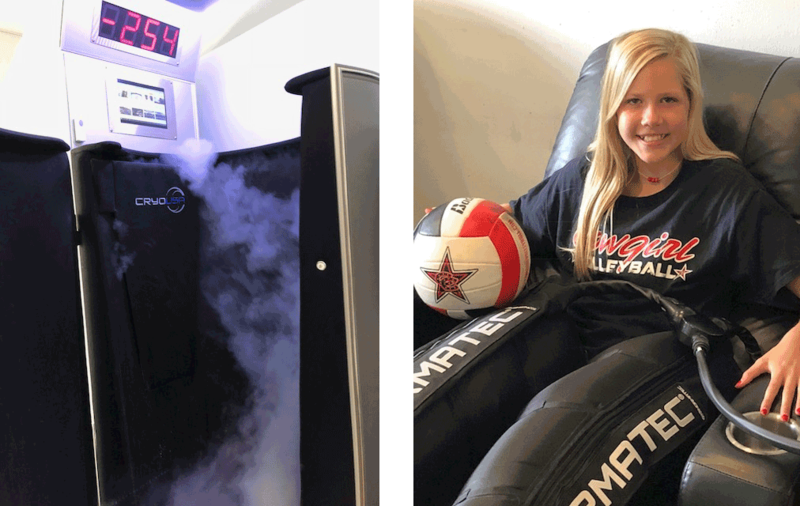 EVERYONE can benefit from Cryotherapy! Athletes, moms, dads, kids, grandmas, grandpas, ANYONE! It is a hyper-cooling process that lowers a person’s skin surface temperature to approximately 30-50 degrees Fahrenheit over a period of 3 minutes. This is accomplished by enveloping the body with extremely cold air. Have questions? Want to learn more? Drop us a line, and we will be happy to get back with you! Receive promotions, health tips, and special offers. Don't worry, we would never sell your email address. Pinky swear!